This legendary Parisian cemetery known as Père-Lachaise, is a place that invites you to wander. Even though Napoleon, contrary to his wishes, did not fid his last resting place here, his memory nevetheless lives in every nook and cranny of this place which was created during the First Empire. Indeed here we find a multitude of his companions in arms, ministers, doctors, a mathematician, painters … mistresses or long-time lovers …. But as for those who pass along the bucolic alleys, what do they know of these deceased? 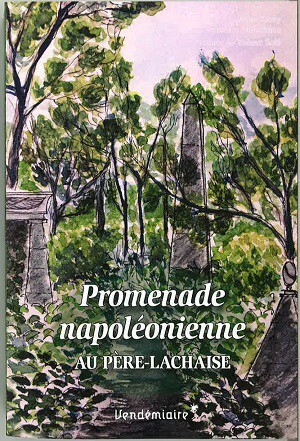 Fun and unusual, this guide book proposes a historical itinerary through the cemetery to dediscover some fifty personalities – famous or anonymous – of the Napoleonic epic. A walk that resembles a treasure hunt, which will delight both the passionate Napoleonist and the lovers of Père-Lachaise.